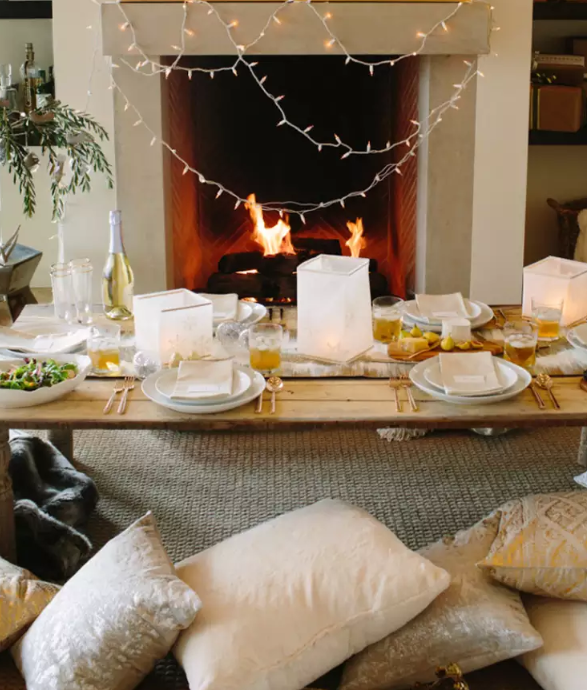 So what do you need to create the lovely warmth of fireside dining? A fireplace of course. And if you don’t have a fireplace, what then? Supposing installing a fireplace with chimney is simply not doable, what then? Modern ingenuity has solved that problem. There are many designs from which to choose that don’t require any major renovations. Fortunately, for apartments and other small space dwellers, most designs only require a little space and an electrical outlet. Styles are from modern to traditional to cottage. Colors and materials are varied along with artificial wood to glass crystals. 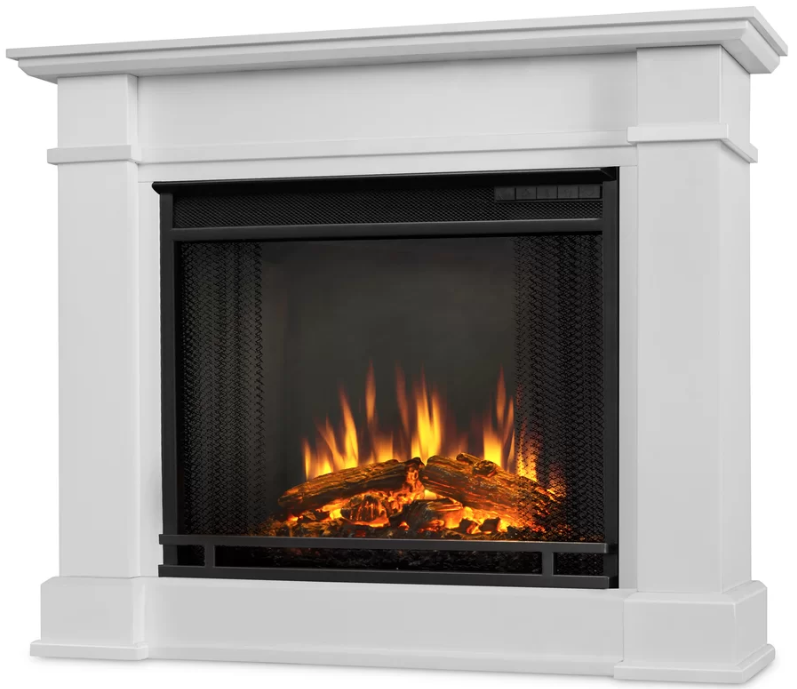 Inserts are available for existing fireplace spaces. And prices range from a couple of hundreds of dollars to a few thousands. 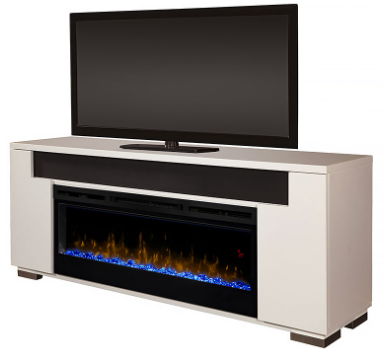 Electric fireplaces can also be used for heating. 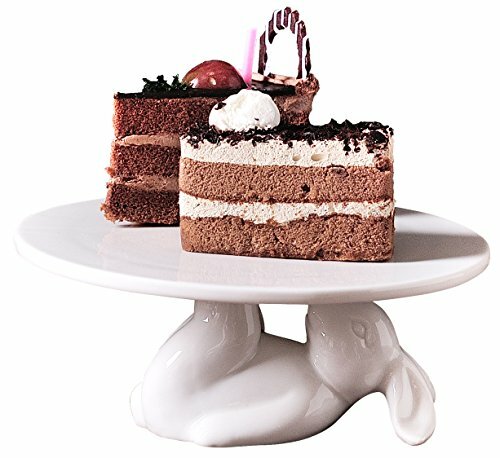 Bring out your very best china and linen, flatware, wine glasses—or not. You define the occasion. Make it casual or special. In my mind, fireside dining to love by is experiencing love for someone else, others and yes, yourself. It’s a time for intimacy, for quiet thoughts and reflections, quiet conversations. 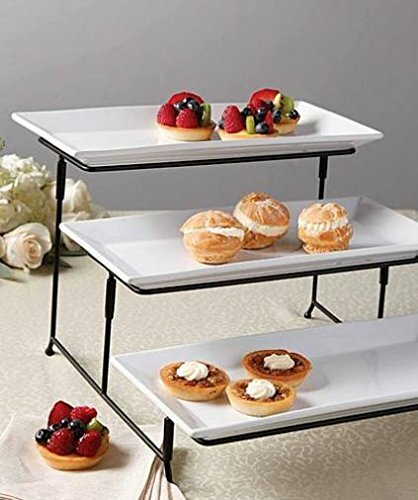 It’s a time for creating a special space, slowly and casually enjoying a lovely meal, a snack, a dessert and a delightful glass of wine, tea or coffee. 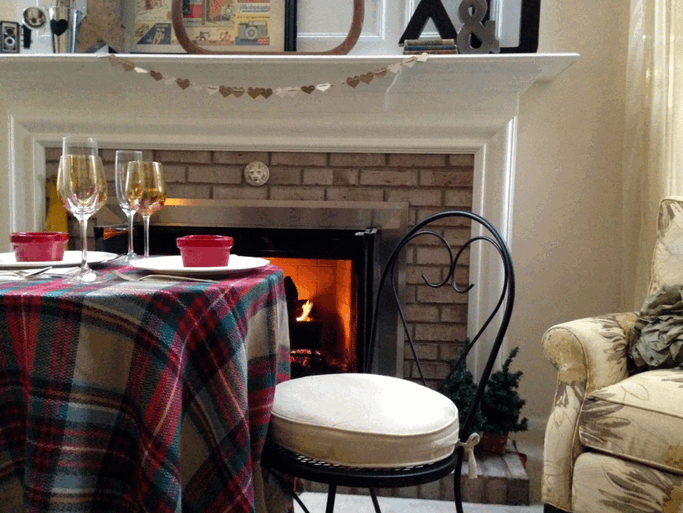 Small spaces are particularly ideal for intimate fireside dining. 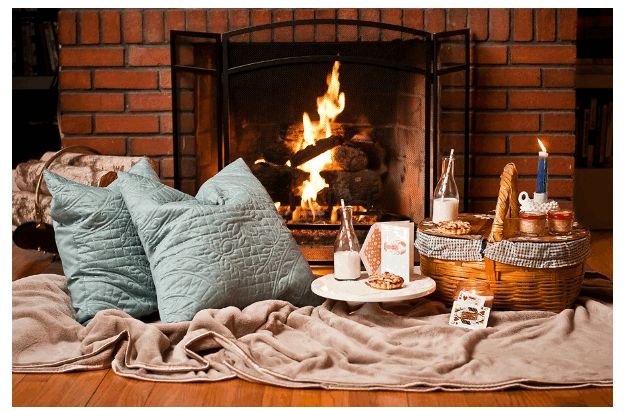 It’s not impossible to experience if your small space doesn’t have a fireplace. Like a sofa or a cocktail table, you can purchase an electric fireplace and just plug it into an electric outlet. Just think, you’ll never have to clean up the ashes from the fireplace! 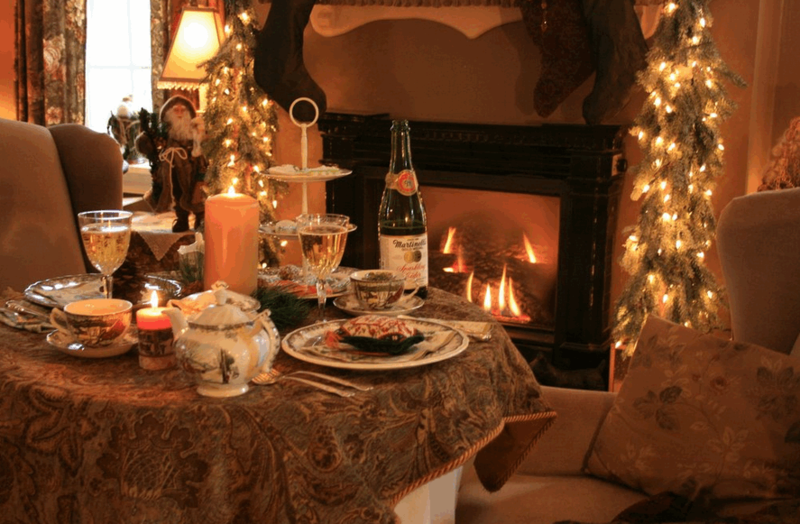 Are you already enjoying fireside dining? 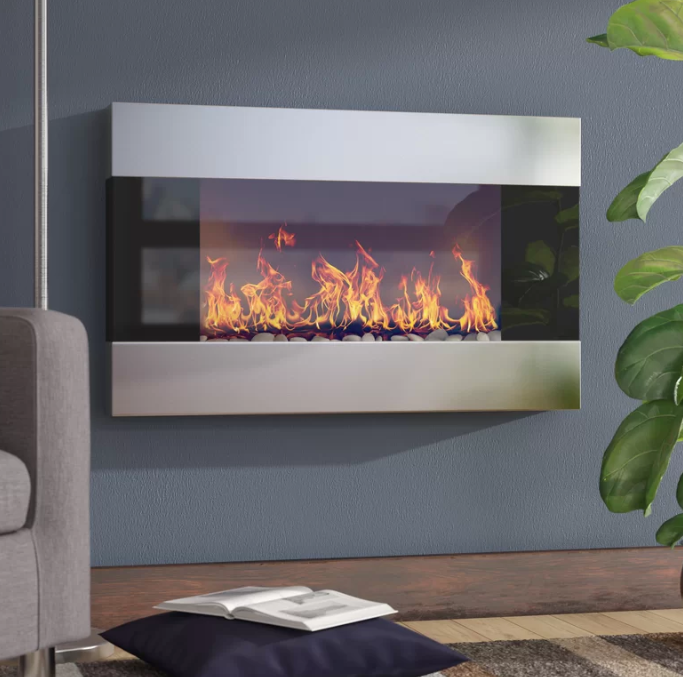 Or are you thinking of adding an electric fireplace to your wish list?